It is hard to believe that Thanksgiving is just around the corner. It seems like only yesterday we were basking in the warmth of summer. However, there is nothing wrong with enjoying a cold-weather vacation in the Smoky Mountains. In fact, we at Large Cabin Rentals highly encourage families and guests to consider spending this holiday inside one of our large Pigeon Forge cabin rentals. Not only do these spaces offer tons of room to relax, but they are also perfect for giving your family time to spend with one another. Need help planning your next trip? Check out our four easy tips on organizing your Thanksgiving vacation below. The first step to planning any Thanksgiving celebration is to figure out who all you want to spend the holiday with. Do you want to just enjoy a peaceful day with your immediate family, or do you want to spend this time with all the people you love? 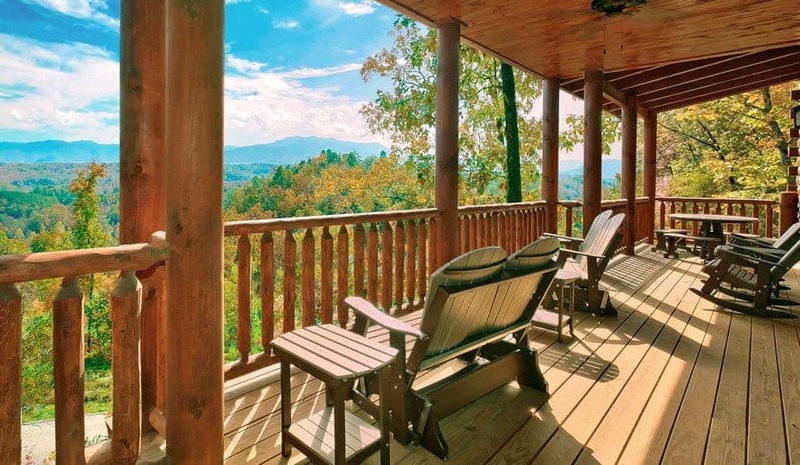 At Large Cabin Rentals, we have vacation homes that can accommodate any size group looking to spend Thanksgiving in the Smoky Mountains. 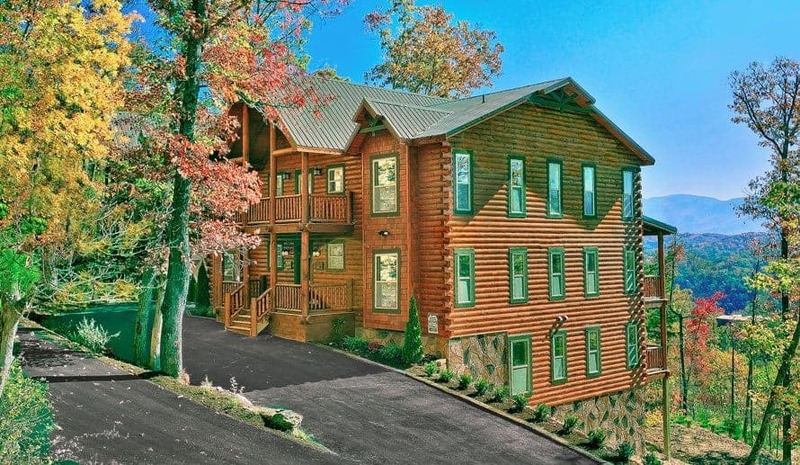 Click here to find a full list of all of our spacious large Pigeon Forge cabin rentals. Now that you have decided who you want to invite, it is time to decide where you want to stay. This is when you ask yourself whether you want to spend your Thanksgiving in the heart of Pigeon Forge or do you want a more peaceful experience by choosing to stay in a secluded cabin in Wears Valley? At Large Cabin Rentals, we have cabins located in each of these two areas that can sleep up to 72 guests under the same roof. Both of these areas offer their own set of benefits. It is just up to you and your family to choose which type of vacation experience you want to have. So now you have the guest list and where you want to stay figured out. It is now time to decide what you want to eat for your holiday dinner this year. A major benefit of spending Thanksgiving in a large Pigeon Forge cabin rental is the fact that all of these spaces come equipped with a spacious fully-equipped kitchen, perfect for preparing your holiday feast. That being said, the reason we suggest you go ahead and map out what you want to cook is so you have a chance to go over any special utensil or serving dish that you may want to bring. All of these kitchens come with a basic set of dishes, glasses, silverware and pots, but just to be safe, you may want to bring a special skillet or two. If you have any questions on what the kitchen in your large Pigeon FOrge cabin offers, feel free to give us a call. 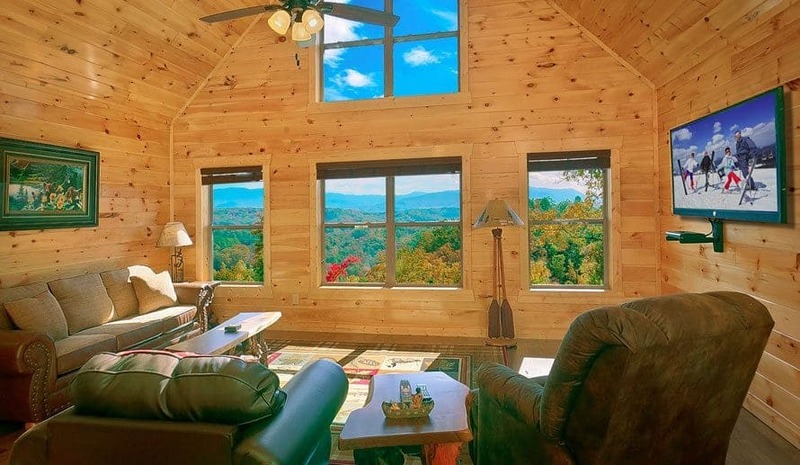 Now that you have gotten all the hard decisions out of the way, it is time to kick your feet up and relax with your friends and family inside your large Pigeon Forge cabin rental. Thanksgiving is meant to be one of the few times of year where it is okay to hit pause on the chaos of daily life and just spend a few hours reflecting on all the joy and blessings the past year has brought. If you need help relaxing, the many amenities found inside our large Pigeon Forge cabin rentals are sure to help. Here, visitors will find game rooms, pool tables, high-speed internet, cable, movie theater rooms, outdoor hot tubs, and a ton of other fun things to do. Planning any kind of family vacation in a large Pigeon Forge cabin rental can seem like a hefty task, especially when it is for a holiday. At Large Cabin Rentals, we want to try to take as much of the headache out of vacation planning as possible. That is why we encourage families and guests to give us a call when planning their trip. One of our large group vacation specialists will be more than happy to answer any and all questions you may have.